The reality in hospitality is that brands must have no reservations about welcoming new technology and going all-out to please all guests. Yet it can be difficult to stay up-to-date on what’s hot in hospitality, so MDG Advertising is sharing the latest travel and hotel trends that are carrying weight in 2015. These journey from mobile to global and include new demographic demands and the need to keep content constant. To stay in touch with the travel industry and stay on top of competitors, take a tour of the hospitality marketing trends that will arrive and thrive in 2015. Over the last 20 years, the tourist population has doubled and is expected to double again during the next 20 years. This growth has completely changed the appearance of the average traveler, with Millennials making up more bookings and tourists being more worldly than ever. This is leading to new consumer demands for faster, easier, customized service and more high-tech conveniences. According to Forbes.com, these demographics will start to demand more digital features, mobile amenities, social media engagement, and personalization to earn their business and loyalty. Millennials may be young in years but they’re mature in their worldly experiences, thanks to their Baby Boomer parents. Now that they’re starting to gain more spending power, they’re able to travel freely and want to experience more of the world. This increasingly traveling demographic is a gold mine for travel brands, so they need to keep trying to capture this market in the coming year. HotelNewsNow.com explains how Millennials have their own views on what matters in hospitality and define luxury travel by functionality much more than price. They also tend to view travel as a way to learn about the new cultures and gain personal growth by meeting others through their excursions. International leisure travel has rapidly risen in recent years as more people from more of the world are visiting the United States. Realize that tens of millions of tourists from China travel the world each year. With recent U.S. government programs granting greater access to America, more of these Chinese tourists and others are planning to visit than ever, according to 4Hoteliers.com. And with different cultures around the world vacationing at different times, this will greatly help travel brands maintain off-season bookings and revenue. In 2015, mobile booking is expected to reach $39.5 billion and comprise 25% of the total online travel market, cited HospitalityNet.org. And with the average guest and business traveler using much more mobile technology in their daily lives, mobile momentum has never been higher and the time has never been better for travel brands to invest in mobile marketing. After all, a growing number of travelers want to book rooms, arrange travel, plan excursions, and reserve restaurants with a simple swipe on their smartphones. They also want to use their mobile devices to ease their entire travel experience, from faster hotel checkouts to one-touch view of rewards points. 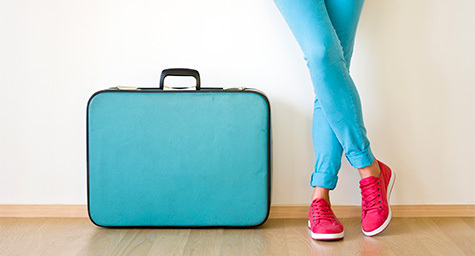 Given this mobile mindset, brands need to acknowledge that travelers tote many mobile devices. To meet their needs, brands must provide amenities like universal charging docks, chargers that power several devices, and mobile access to concierges. Yet while brands should strive to give travelers the mobile means they crave, limited budgets require making smart technology upgrades that that will make the most improvement in the guest’s travel experience. Finally, the ubiquity of mobile devices will bring mobile payments into the mainstream in mobile travel bookings. After recently gaining greater acceptance in retail, mobile payment is set to expand into many other industries, most notably hospitality. Social media has challenged and changed how travel brands market to guests. The industry is well aware of social media’s huge influence on where travelers stay and play. That’s why most brands are engaging with guests on social networks, plus using social media channels to share photos, deals, and contests. And they’re encouraging visitors to post feedback on travel review sites. While TripAdvisor has long been the leader in online travel reviews, now other platforms are gaining ground. In fact, 4Hoteliers.com is finding that Facebook, Expedia, Yahoo, and Yelp are where more guests go to share tips on their trips. Yet while social media networks initially offered a free-for-all of free reach, companies need to realize that they’re no longer getting as socially seen and now need to invest in paid media. But with so many platforms and properties, it’s important to search and research which digital placements are best for the brand and the budget. People remember 20% of what they read, yet recall 80% of what they see and experience, as cited by HospitalityNet.org. This demonstrates the value of visual content, which is most powerfully presented through video. And hospitality brands have a major advantage in their range of visual content since the scenic locales and exotic offerings are both eye-catching and breathtaking. This lets travelers virtually experience a brand and its beauty via online video. But video has expanded beyond the basic YouTube platform and now Facebook, Vine, and Tumblr have become big online video destinations. Hotel brands need to leverage their video value to let travelers see all they have to offer. In 2015, the desire for customized messaging will lead to more targeted hospitality marketing. This will hugely increase a hotel’s need for experience-driven, high-quality content about the brand and destination. Compelling copy, personal stories, and stunning visuals of vacations will need to be constantly placed on all of a brand’s social media channels. Yet creating content that’s meaningful, informative, and sharable requires a talented team of writers and designers. Once this content is created, brands will need to learn how to leverage it. Re-packaging and re-purposing original content in various ways will help brands get the greatest exposure and ensure a cohesive brand message. And don’t discount the value of using social media comments as sources of content. People love to share their experiences and read about those of others. Try to constantly monitor social media mentions and commission them in creative ways to provide a continual content stream. Try following these hospitality marketing trends throughout 2015 and see how they are just the ticket to building to a better business. Stay current on the trends in travel and hospitality marketing. Contact MDG Advertising.